D.L.X MISSION- STEALTH INTERCEPTOR/AIR DOMINANCE FIGHTER The entire MoTIS defensive air force was seen in the mind of lead neo concept designer O Watson and represents the first layer of a super defensive aircraft design mission. These are the first few next generational neo concept defensive designs to preview out of the MoTIS VIPER WORKS and the X ROW development facilities! The offensive aircraft are now under way and are super developed to be a whole air force wing of super air dominance fighters of the future and will preview very soon! The mission is the DARK LORD defensive mission, and the ultimate goal is to defend this great nation form the emerging threats of the future! The DARK LORD program is a huge undertaking and we at team MoTIS have been this the design labs for the past year getting this great program up to specs! The DARK LORD X was officially seen in the mind of neo concept designer O WATSON and was seen as a primary super multi-mission air to ground/ air to air , ARMY super fighter! The aircraft was seen as a true future replacement to modern ARMY tank busting choppers! The ARMY variant of the DARK LORD series is the only DLX fighter that is a true VTOL/SUPER STOL/ Whisper technology aircraft! The aircraft has retro jam blasting jet assisted anti-stall technology put into her o allow her to attack tanks and ground forces at ultra high angle of attacks with out stalling in an air to ground maneuver! 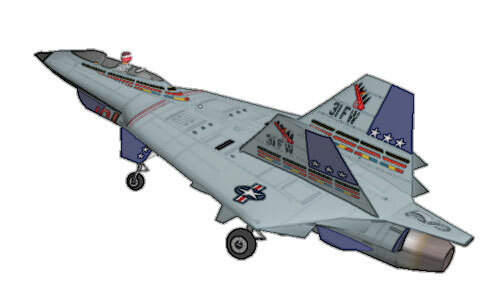 This aircraft is being developed for the virtual ARMY and AIR FORCES of the world and will have the power of an F16 striker and a F14 A tomcat rolled into a small , but aggressive dynamic defensive fighter and this aircraft will be backed up the VIPER WORKS ANACONDA to preview very soon now! The DARK LORD X fighter is designed to be a primary SADOX weapons platform. The SADOX weapons systems are the virtual FS weapons of the future! The DARK LORD aircraft are designed to be the fastest response to a terror threat and the worlds first super multi-dimensional attach fighter! 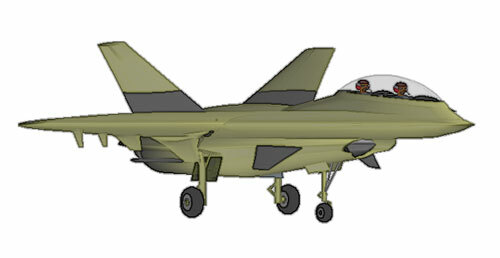 The general aircraft comes in two flavors. 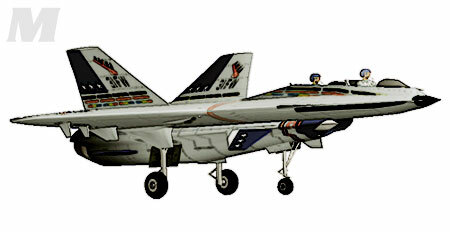 The super single fighter and the advanced trainer/ fighter bomber! The aircraft is a super stealth design that is composed of light weight carbon fibers and built with thermo resistant polymer materials! The DARK LORD X anti-stealth aircraft -AN X ROW III CREATION and member of the 7 anti-stealth aircraft interceptor team known as The DARK SINISTER AIRCRAFT PRODUCTION LINE I, has been transported to X-ROW I and is ready to take to the skis on a mission known as the SHADOW SWEEP!! 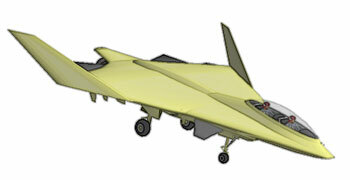 This is a super secret stealth interceptor aircraft with its eyes on a one mission. The ARMY version of the DARK LORD is much less intensive in flight model and mission scope, and is truly more of a air to ground support defensive rolled fighter! This version of the DARK LORD will be primarily supporting our first developed A.T.G (Air to Ground) aircraft known as the BARRACUDA!